To make life easier for you we have made the move over to true HVLP technology. Commonly available HVLP guns (conversion guns) are designed to run on compressors these are not true HVLP, True HVLP runs from a turbine system which provides the following benefits when compared to compressor based systems. true low pressure greatly reduces bounce back providing a cleaner safer and healthier spraying environment as well as less over spray and air borne contamination settlement. turbines are available in various shapes and power out puts after testing various manufacturers for automotive applications we found that the Apollo range of HVLP turbines gave the best results. We use the Apollo 1050VR there flagship industrial application model and are so impressed that we are going to be offering the Apollo range for sale. Although we supply the use of the Apollo automotive turbine you may want one of your own. 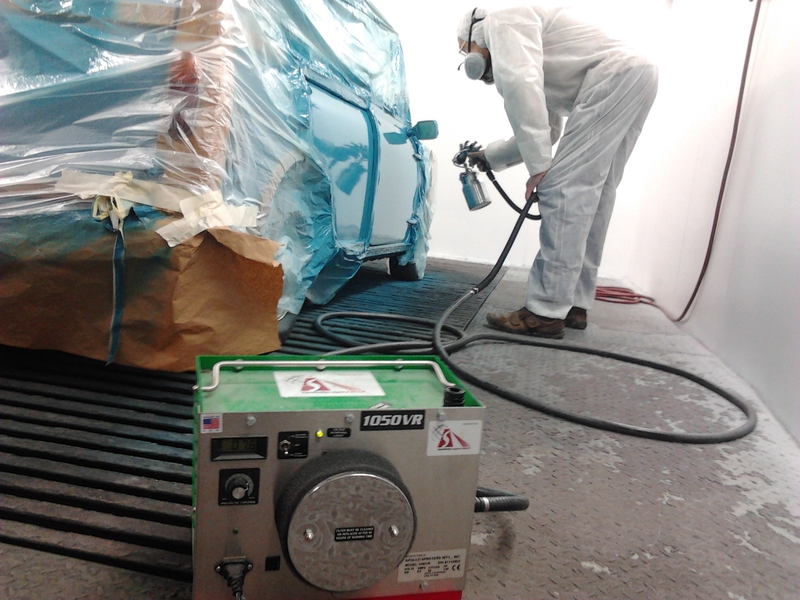 We can supply you with an Apollo sprayer configured for automotive applications just contact us. 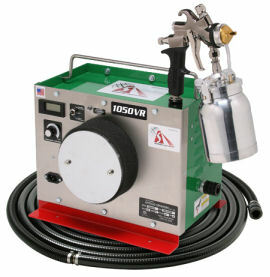 prices are from £744 inc vat to £1212 inc vat for the products and set up that we would recommend. being low wattage in comparison to a 3hp compressor also makes the Apollo HVLP turbine an excellent alternative to using a compressor for spraying especially for smart repairers. Call gavin on 07840 960 550 or email gavin@thepaintshoppros.co.uk for more information.